UTEP’s museums and galleries showcase some of the most acclaimed exhibits on the border and beyond. The Centennial Museum features permanent exhibits on the natural and cultural history of the Chihuahuan Desert region. The beautifully serene Chihuahuan Desert Gardens contain nearly 800 species of native plants. Hours: 10 a.m. to 4:30 p.m. Monday through Saturday. Closed on University holidays and home football game days. Information: 915-747-5565 or www.utep.edu/museum. The Glass Gallery hosts solo and group exhibitions of contemporary works by UTEP undergraduate and graduate art students. It also periodically hosts visiting artists. It is housed in the Fox Fine Arts Center. Hours: Vary. Information: 915-747-5181. The Stanlee and Gerald Rubin Center for the Visual Arts is a contemporary art gallery on the UTEP campus that brings world-class art and artists to the border community that encourage adventuresome thinking and dialogue. Through innovative exhibitions and programs, it strives to be the place where contemporary art meets contemporary life. Hours: 10 a.m. to 5 p.m. Monday through Friday; until 7 p.m. Thursday; and additional hours by appointment. Information: 915-747-6151 or www.utep.edu/rubin. The UTEP Union Gallery opened in 1969 and features temporary exhibits that spread knowledge and appreciation of art from students and other artists that can inspire UTEP and the greater El Paso community. It is housed in Union Building East, second floor. Hours: Vary. Information: 915-747-5711 or www.utep.edu/student-affairs/union. The University Library features unique collections of literature, art and historic documents. Hours: 7 a.m. to 1 a.m. Monday through Thursday; 7 a.m. to 8 p.m. Friday; 9 a.m. to 6 p.m. Saturday; and noon to 1 a.m. Sunday. (Library hours are subject to change to accommodate sporting events, holidays, intercessions and minimesters.) Information: 915-747-5672 or libraryweb.utep.edu. 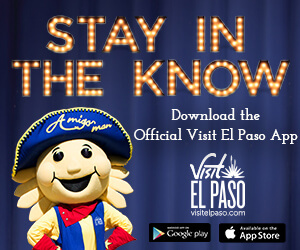 The energy and vibrancy of UTEP actors, musicians, singers, dancers and artists is key to the El Paso cultural scene. The UTEP Department of Music offers undergraduate and graduate degrees in Performance, Music Education, Commercial Music and Music Theory/Composition. Ensembles include the Marching Miner Regiment, Pep Band, three concert choirs, three concert bands, two orchestras, two jazz bands, an opera company, Mariachi Los Mineros, an Arabic music ensemble, an early music ensemble and numerous chamber music ensembles. The department hosts hundreds of concerts and events throughout the year. Information: 915-747-5606 or www.utep.edu/liberalarts/music. The UTEP Department of Theatre and Dance is committed to respect and honor the nature of our bilingual and binational border community through classical and contemporary plays, original productions and dance performances, all with a specific focus on Latinx theater. Information: 915-747-5146 or www.utep.edu/liberalarts/theatre-dance. The UTEP Dinner Theatre presents contemporary musicals, classic Broadway hits and stage adaptations of classic films. Information: 915-747-6060 or www.utep.edu/liberalarts/udt.